VIRGIN Trains has reported a rise of almost a third in the number of passengers travelling between London and Glasgow over the past six years. The operator, 49 per cent of which is owned by Stagecoach, eased peak restrictions on Fridays last November. Virgin said nearly 2,000 people are now travelling daily on the Glasgow route, and last year’s total was 688,026. Journeys between Edinburgh or Glasgow and Birmingham have also risen by nearly 60,000 from 94,544 to 152,673. The West Coast intercity franchise recorded a total of almost 40 million journeys in 2018-19, an increase of almost 10 million compared with 2013, and Virgin pointed out that if present growth trends continued, there would be around 50 million journeys in 2026, which is when the first phase of HS2 is due to open. The Campaign for Better Transport has published a report, ‘Transformation of the West Coast Mainline’, which attributes rising passenger numbers in part to Virgin’s Very High Frequency timetable, which was introduced in 2008 and provided three trains an hour from London to Birmingham and Manchester for the first time. The original intention had been to run four trains an hour on both routes, but this was not possible after the West Coast modernisation programme had been cut back to bring the cost down. Even so, Virgin said the West Coast improvements over the past decade have resulted in 7 million fewer car journeys a year between London and Manchester, and 26,000 fewer daily car journeys on the M1 and M40. Aviation has also lost ground, with 1.7 million fewer people flying between London and Manchester, resulting in 5,000 fewer flights and 60,000 tonnes of carbon savings between 2004 and 2017, Rail’s share of the Glasgow-London market in 2009 was 8 per cent, and it is now 20 per cent. The Campaign for Better Transport’s chief executive Darren Shirley added: ‘At a time when rail investment is being questioned, it is easy to lose sight of the huge benefits which can be achieved. Rather than being happy side effects, outcomes such as lower carbon emissions, support for local economies and tackling road congestion should be regarded as a direct consequence of support for the railways. 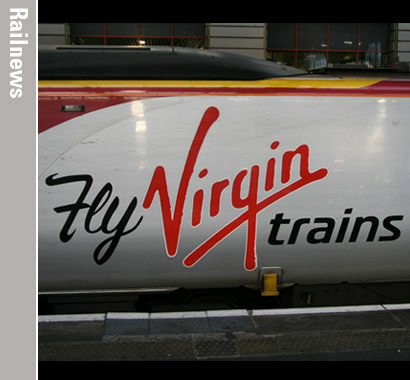 Virgin has run the intercity service on the West Coast route since March 1997, and its franchise partner Stagecoach bought its 49 per cent stake in October 1998. Since then, the Virgin/Stagecoach West Coast franchises have not always had an easy ride. The original franchise was suspended and replaced by a management contract in July 2002, because the stalled West Coast modernisation scheme had made the proposed business plan unachievable. The franchise was restored on new terms in December 2006. But Virgin and Stagecoach almost lost the franchise again in 2012, when its replacement was briefly awarded to FirstGroup. This award was overturned after it was successfully challenged by Virgin on the grounds that the Department for Transport’s financial modelling was flawed. Since then there have been several short term contracts and extensions. The present West Coast franchise is now set to end on 1 April 2020. Its replacement, provisionally known as the West Coast Partnership, will run until the end of the decade and include operating the first phase of HS2 between London and Birmingham in 2026.